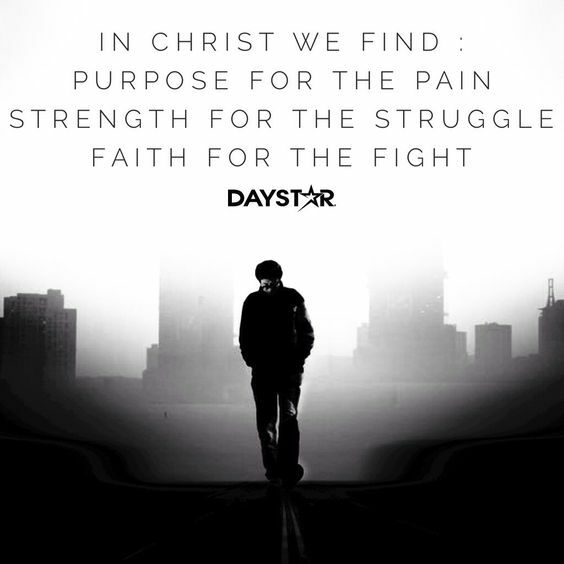 note and understand that the hardships he was facing did not limit God’s power in his life. 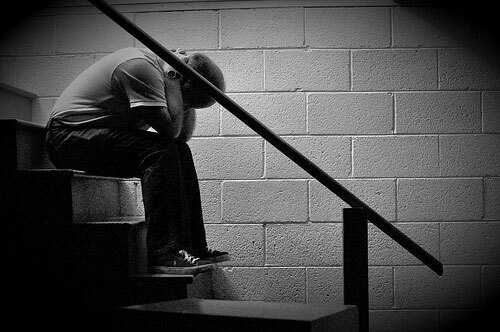 in prison, being falsely accused, God was at work in his life. you don’t limit Him one single bit. He is not looking at what’s happening around you to move. He is looking at your faith. Will you still look to Him when things are difficult? I am fully convinced God is moving in your life even when the world around you is falling apart. Don’t let the bad things that are happening around you determine how must live. Put your trust in God and move with Him. “Get me out of here”!!!! which they should put me in the dungeon. I think you will agree with me that life gets crazy at times. Being in the place God has called you to be is not easy at times. the other stuff. There is the stuff that doesn’t make sense. There is the stuff that makes you doubt what God told you. There is the stuff that wants to make you throw in the towel…. the bad define purpose! Joseph knew this so well. treated. He was confused and hurt. baker, as Joseph had interpreted to them. Yet the chief butler did not mention Joseph, but forgot him. It would take two years before the butler remembered Joseph. and all [the sorrow of the loss of] my father’s household. All I want you to see are the hard times Joseph went through. God had a plan in the midst of the pain and hardship. me that no matter how bad things get, God has a plan. enough on your own! God will bring you through…..
We need to trust in His goodness friends. God is so good. He didn’t want to go that way………! [and Midianites, these mixed Arabians who are approaching], and let not our hand be upon him, for he is our brother and our flesh. And his brothers consented. We know the story of Joseph very well. He had a dream from God and was not shy to tell anyone! His brothers hated him for the dreams he had been given and his parents rebuked him but the fact remains, God had great plans for him! God had great plans for Joseph but he was thrown into an empty well by his brothers! What kind of thoughts did he have sitting in that dark empty well??? I can imagine him crying out to his brothers for mercy, pleading to them, begging them to set him free! Did he lose hope?? I would think so……! Was he confused and felt abandoned by God, maybe? He sent a man before them, even Joseph, who was sold as a servant. Are you confused at how your life is going right now? Do you think God has abandoned you? Does anything make any sense right now in your life? Just know that God is in control of your life and He loves you! He is guiding you! And delivered him from all his distressing afflictions andwon him goodwill and favor and wisdom and understanding in the sight of Pharaoh, king of Egypt, who made him governor over Egypt and all his house. In all the difficult things Joseph went through, God was with him! God delivered him from ALL his distressing afflictions! God is with you and He will deliver you! You are not alone! Joseph thought he was alone in the empty dark well but God was with him, crying with him! He thought he was alone when his brothers sold him into slavery but God was with Him!! When he felt rejected because his brothers sold him into slavery God was with him! As Joseph headed for Egypt he may of thought his dreams were finished but little did he know they were just beginning! You may feel like it’s end of the line for you but it’s actually the beginning! The enemy is lying to you! Your story is just beginning! Trust the Lord because He is with you! No matter what happens, God is in control! You have a calling….. You were brought to earth for a reason and that is the truth. What I have been thinking about are the journey’s of all the great men and women in the bible. I don’t believe the road God paved for them was easy. And this is the thing though, we read their stories and we know their ending but the actual people didn’t. For example, look at Joseph, Esther, and Rahab. Joseph – We know his story but imagine what he went through. He was sold as a slave. What was going through his mind at that precise moment? Just before that his brothers threw him down a pit and were planning his death! Did he think his life would amount up to something? Did he feel like God had abandoned him? Did he lose hope? Did he ever feel like just giving up? I think he went through all these things but when we read his story we know the end. We know God would deliver him in a mighty way. We know he would become second to Pharaoh! We know he would save the world from a severe famine but did he? I don’t think he knew that when he was in the pit. But the fact is this, God was in control, even when things didn’t seem like that. He knew the end and that is what matters. Joseph may of felt abandoned because of the circumstances he found himself in but he wasn’t abandoned. God had not abandoned him! God was guiding him and making a way for him. God was preparing him for something big. Esther – She was orphaned. She didn’t know who her parents were. She was abandoned and was being raised by her uncle, Mordecai. (Esther 2:7) And to top things off, she was a women. Not the greatest thing to be at that time in history. What did she struggle with? Did she even think she was called? Did she know God had an amazing plan for her? Did she struggle with identity and rejection? But as we read the story we know the end. We know she would be crowned the new queen and she would save an entire race! Did she know that in the beginning? I don’t think so but again, God was in control. She may off thought of herself as dirt but God had planned something so amazing for her. He loved her and God was with her. I wonder if she knew that in the beginning???? Rahab – She was a prostitute! I can only imagine what she went through before the spies visited her. She had to struggle with people mocking her. Did she struggle with abuse, physical and verbal? I most definitely think so. Did she struggle with self-esteem? People looked down on her? She was treated like trash. She wasn’t even a Christian!!! She was a prostitute for crying out loud. In her eyes and the eyes of everyone else around her, her life path was clear, there was no mistake of what she would amount to. She would amount to nothing!!! There was no hope for her. Did she believe that God had chosen her? Did she know something amazing was about to happen to her?? I don’t think so. But again, God was in control. He had a plan for her even if she couldn’t see it, even if everybody else around couldn’t see it. God had a plan and that made all the difference! This is what I am trying to get to. 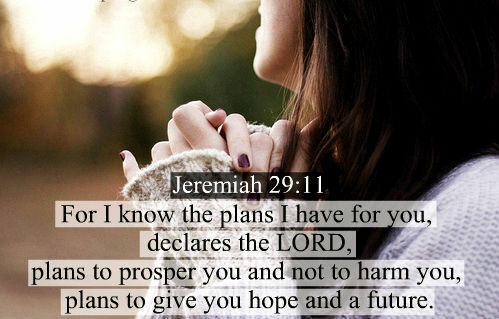 God has a plan for your life. Even if like Rahab everyone says you are going nowhere, God has a plan for your life. Put your faith in God. His plan for your life is going to blow you away. Take comfort in the fact that, GOD has a plan for you. Your circumstances might be saying the complete opposite but God has a plan. Don’t give up. At times I don’t see. The circumstances around me get my focus off the bigger picture. But God has a plan even if it seems like He has abandoned me. Don’t believe the lies. God is in control. He created your beginning but He also created your end and it is wonderful!! It is grand and it is breathtaking!!! He knows how it’s going to end because He is the one who WROTE the end!! This was a command given to a king. We are sons and daughters of a Great and Mighty King so this command is for us today. One area we need to speak out against is human trafficking!! The people who have been involved or are still involved are afraid to speak up because of threats made to them. If they cannot speak up I will!!! God has called us to be the voice for the oppressed and for those who have no voice. It is estimated that there are about 27 million men, women and children who are currently trapped in modern day slavery. (for more Stats click here) There are more people who are being trafficked and trapped in slavery today, than any other time in history!!! That is crazy right. We have been silent as this beast has been growing and growing. Now is the time to stand and let our voices be heard. And don’t make the mistake by thinking this doesn’t affect you because it does. A lot of products that we buy were made by traffickers. They exploit people in fields, factories, sweat shops, restaurants etc. we cannot just sit back and relax. We need to take a stand. The first step I guess is bringing awareness to people about the evil that is going on. What part will you play in this whole thing? This is my starting point. I am making sure I am making people aware of human trafficking. There is more to be done but the important thing is to start where you are at, no matter how small it is. As we step out in faith and do something we can be sure that God will help us and turn our little into much. Will you be a voice for those with no voice? Will you stand up for the oppressed? What part will you play in this fight? Congratulations On Becoming A Servant!!!! Who likes being called a servant? I don’t think anyone likes being called that. It is degrading and just down right embarrassing. But this is the thing, God wants us to be servant leaders. Get it, SERVANT leaders! Somewhere down the line, the definition of true leadership has been lost. We have leaders who don’t talk to their flock. We have leaders who will not dare take advise from a mere feeble “commoner”. We have leaders who live in another world who cannot be touched and spoken to. Their security detail (oh excuse me, I mean protocol team) are the ones who decide who is fit or dressed well enough or eloquent enough to speak to the Man of God!!! Something is very wrong with this picture, very wrong! And Israel saw the great work which the Lord did against the Egyptians, and the people [reverently] feared the Lord and trusted in (relied on, remained steadfast to) the Lord and to His servant Moses. Moses My servant is dead. So now arise [take his place], go over this Jordon, you and all this people, into the land which I am giving to them, the Israelites. Moses was a servant leader. Another thing to note about a servant leader is, it’s not so much what you do but what is in your heart. Moses had a heart to serve. Do you have a heart to serve and not just the rich and famous but anybody from the youngest to the poorest? If not you are not fit to be called a leader!!! As a leader are you able to listen to and serve anyone? If a child had to ask you to get something would you do it? If a poor person asked you to get something for them would you do it? A servant leader does not look at himself or herself anymore but looks at what they can do for others. And Jesus called them to Him and said, You know that the rulers of the Gentiles lord it over them, and their great men hold them in subjection [tyrannizing over them]. Just as the Son of Man came not to be waited on but to serve, and to give His life as a ransom for many [the price paid to set them free]. Being a servant-leader is not easy. It takes sacrifice. It requires you die to yourself! Jesus knew exactly who He was yet in that understanding He still washed the disciples feet. Knowing that you are someone great and then serving someone is one thing but knowing you are the Son of God and washing your servants feet is something entirely different!!! As I end I would like you to think about what kind of leader you are. A servant leader is someone who thinks about other people more than he or she thinks about themselves. Is that you?